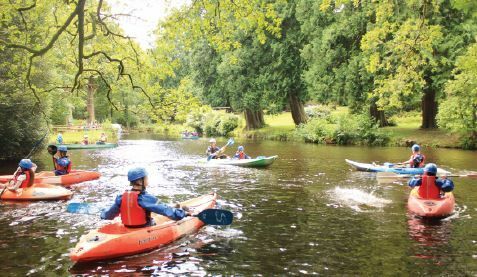 River Dart Location: Dartmoor National Park, DevonRiver Dart Country Park & Adventures is a dream come true for every child with a wild spirit just waiting for the right time to be let loose. The expanse of this Award Winning activity centre is over 90 acres of woods and lakes, with amazing outdoor fun to be had on every inch. Children of all ages will be able to make memories out of their numerous obstacle courses, wooden pirate ship, kayaking, forts and much more. During the school holidays it can be quite a busy place, but whether you decide to go camping for a week or stay in a B&B for just one night, you'll definitely find no regrets at River Dart. Longleat Safari & Adventure Park Location: Longleat, WiltshireIf you've somehow not heard about this amazing attraction, then the title alone should sell it. A thriving safari right in the English countryside, for over 60 years its extensive land has been occupied by free roaming wild animals, from Lions and Giraffes to Penguins and Gorillas. There's plenty of amazing play-areas alongside the guided animal tours, and for this Easter Holidays in particular there's shows with Steve Backshall of BBC Deadly Adventure, an cracking Easter egg hunt and a tea party with the Mad Hatter. Nothing can quite get kids excited for a day out than a superbly filled farm, and Dairyland Farm World is one of the most beloved. An adventure park, petting zoo and museum all in one, it lets children take park in the milking of their many cows, explore Cornish farm life and find many new friends in the farm's diverse animal inhabitants. 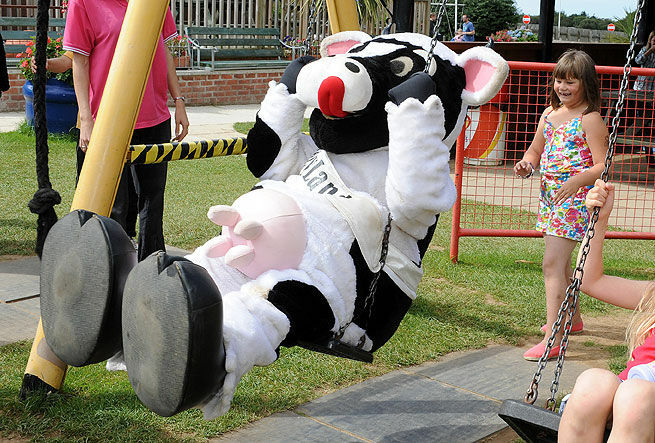 This Easter Holidays sees the return of their famous egg hunt, where children can join the cow mascots Boris and Dazy tracking down hidden chocolate treats. National Space Centre Location: Leicester, East MidlandsNearly every child wants to be an astronaut, and with the incredible attractions to be found at the National Space Centre, they can be for a day! Taking education to its most thrilling heights, there's all sorts of simulated space missions to enjoy, along with a 360 degree planetarium and the chance to explore the search for Extra Terrestrial Intelligence with their Fantastical Observatorium. This month is also their 'Grossology Easter' event, finding the impolite truth about the human body in hilarious and fascinating fashion. 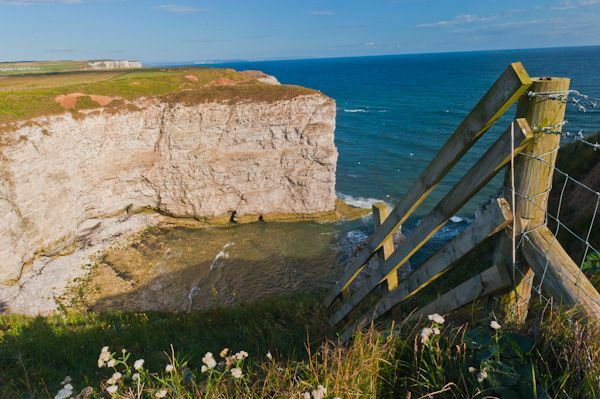 Flamborough Head Location: Yorkshire CoastSo far we've only listed the well known, man-made attractions. If you're wanting to take the kids to a natural wonder of our shores, then few rank higher than the Flamborough Head. An astonishing, seven-mile-long headland with beautifully formed chalk cliffs, there's a promenade, harbour and RSPB reserve to explore. However far you'll need to travel, it's a breathtaking sight easily worth the drive. Decoy Country Park Location: Decoy Country Park, Newton AbbotA bountiful wildlife park that's both a stunning example of natural beauty and a great water play area for children. The lake pictured above offers no shortage of oppurtunities for water sport activities, but the lavish woodland surrounding it is also great to wind down with trim trails, wildlife watching or just a leisurely walk. There's also educational facilities to be found at the Decoy Discovery Centre. Everything you could want in an adventure park, whether you're a child or adult, lies in this amazing Treehouse Adventure. The setting of the children's book A Boggle at BeWILDerwood by Tom Blofield, there's all manner of mischief that your kids can get up to with its cast of imaginative characters. This includes storytelling, boat trips, marsh walks, treehouses, ziplines - the works!